With Gbenga and his team at HAFH Construction now moving into commercial construction they wanted to not only display a professional online presence but revamp their look to compete with the known players in the game. We delivered on all fronts, with a strategically designed logo and responsive website. They are now on course for a strong 4th Quarter, acquiring new accounts based on their updated look! They have already made more than 10x their original investment with us, proving the value of our work. 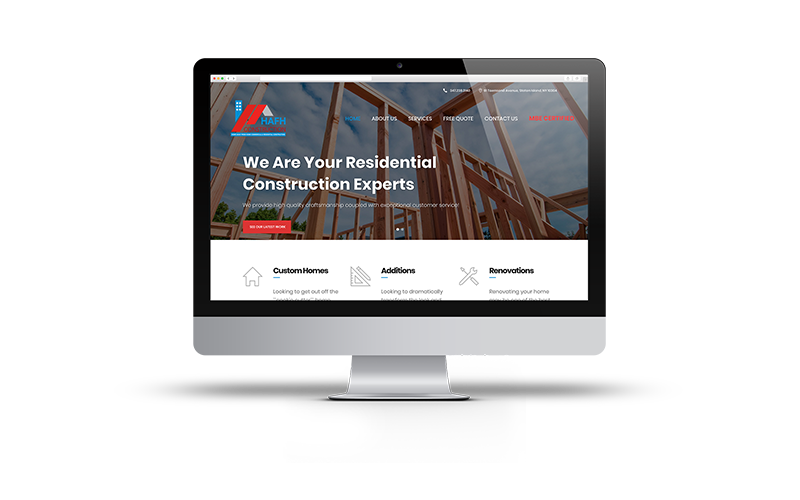 For professional construction services visit hafhconstruction.com and for an upgrade to your brand identity contact us today for more info!